- Out August 14 on Local Action - Available as digital download, or as a limited cassette release combining Keep and 2014's 47 EP, plus bonus material. - Pre-order and get 'Grey' now: tinyurl.com/q6epgga Based in New York, LiL JaBBA is a visual artist by day, but has been quietly influential with his recorded music - despite sounding like nobody else around. His debut album Scales used footwork's template (Teklife lynchpin DJ Rashad was an early Jabba supporter) as a foundation for colourful, sometimes gruesome audio tapestries, while subsequent EPs 47 and Gully saw JaBBA apply this approach to Southern hip-hop, IDM-style structures and more. Keep, a precursor to his second album, features LiL JaBBA's most advanced and developed music yet, drawing from grime, jungle and more. No matter how weird it gets, though, it never loses touch of the melodies that have always been at the heart of his music. 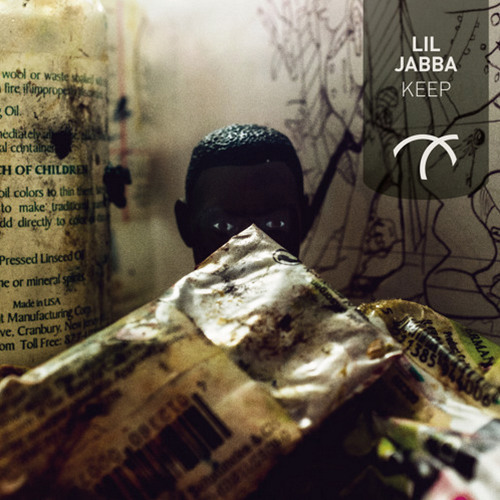 There's nobody around making tracks like LiL JaBBA, and Keep showcases him at his most complex and most simple. Early support from Hudson Mohawke, Ryan Hemsworth, Murlo, S-Type and more.